And, with a little skill with image and photo editor software, you can create a professional looking logo with ease. YouTube has come a long way since it first launched just 13 years ago (I know, right? They grow up so fast). The ubiquitous video sharing site has gone from being a simple curiosity created by three former PayPal employees, to a multimillion dollar subsidiary of tech giant Google, capable of creating wealthy celebrities of its almost 1.5 billion worldwide users. All this means YouTubers are very protective of the look and style of their videos and, like any business, want to make sure their brand is consistent across all their content. The best way to achieve this is to create a logo for your channel and add it as a watermark to all the content you upload to YouTube. Creating a bespoke logo for your YouTube content will make your videos look more professional and can even have a positive effect on the number of views you get. So, if you’re serious about your videos, follow our guide on how to make a watermark for YouTube. When it comes to choosing a logo for your YouTube channel the internet is full of inspiration. There are even platforms such as Logaster which can create one for you. However, if you want something truly original, you may need to get your creative juices flowing and design your own. After all, there would be nothing worse than using a piece of clipart for your logo, only to find that another YouTuber has the same image in their watermark. Your logo should be simple and striking. It should communicate clearly what industry your channel operates in and should avoid any ambiguity. Archetypes such as a chef’s hat for a cooking channel, or a control pad for video game content, are the sorts of things to have in mind. You can then play around with interesting and abstract ways of presenting these images. Of course, you may wish to forgo an image and instead have your name or the name of your channel as the logo. If this is the case, you can head straight to step two. When it comes to choosing a colour for your logo, try not to be influenced by your own preferences, or the latest trends. Both of these things are subject to change and what’s hot one day may be the opposite the next. Instead investigate the psychology around different colours and think about what it is you want to communicate with your channel. If your channel is one which features lots of angry rants about politics/industry behaviour/society/etc. fierce colours like red and black may be best, whereas if you content looks at nature or science, greens may be a better choice. Use your image editor software to play around with different shades and highlights to find which works best for you. Don’t forget to consider factors such as the colour of the backgrounds and other elements in your videos, as you want to avoid them clashing with your watermark. Deciding which font to use on your logo is not something to be taken lightly. It needs to be clear, striking, and easily identifiable. Remember your logo will be much smaller when presented on your videos, so make sure it is still easy to read when scaled down. If you have a text-based logo and a separate slogan, it’s best to use the same font for both. However, if you’re set on having different fonts, make sure they compliment one another and don’t clash. You want your watermark to contain as few elements as possible, so don’t get carried away with loads of extraneous detail. Look at some of the world’s biggest brands, they all have clear and simple logos which are instantly recognisable as belonging to them. Think of the Nike tick, or the Apple logo, these are the sorts of styles you’re looking to emulate. Make sure you save your logo in vector format which will allow you to scale it to any size you need without it turning into a pixelated mess. Adding the finished logo to your channel is easy. Simply click on your YouTube avatar, select Creator Studio, then Channel, then Branding. Finally click the Add a Watermark button and upload the image to have it automatically applied to your videos. Now you know how to create a professional and stylish watermark for your YouTube channel, you’ll need some software to work on. Here are three we can’t hesitate to recommend to any budding YouTuber. Not only will they allow you to create a unique and distinct watermark for your channel, but you can use them to create all your channel art, thumbnails, social media artwork, and more. Pixillion is a great image converter which allows you to tinker with images to create a perfect logo. It is ideal for users who already have an existing logo and want to adjust the format or make it more suitable for use as a watermark. 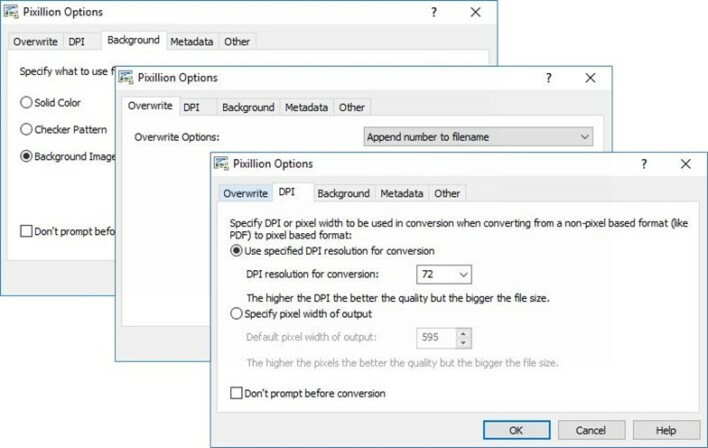 Use the right click menu to convert images or drag and drop digital photos into Pixillion. Pixillion is free for non-commercial use, with a pro upgrade available which gives you the ability to batch convert and watermark images. With Affinity Photo you get access to a huge range of tools and functions which will help you make your YouTube artwork the best it can possibly be. Affinity photo also lets you create original images with over 120 brushes, including special effects, bristles, dry media, inks, markers, and paint. What’s more, it’s compatible with all major tablets, supporting pressure sensitivity and brush stabilisation. Ideal for logo creation. If you’re looking for a complete digital art studio, look no further than Corel Painter. This wonderful piece of software allows you to create beautiful works of art which are almost indistinguishable from those created by non-digital means. Unleash your creativity and create a distinct logo, watermark, and series of channel art and video thumbnails to make your videos (and channel) really stand out. Revolutionary digital brushes: Corel Painter features powerful new physics-inspired Particle Brushes. You can produce real brushstrokes and choose from a huge selection of realistic Natural-Media brushes to bring stunning contemporary digital art to life. 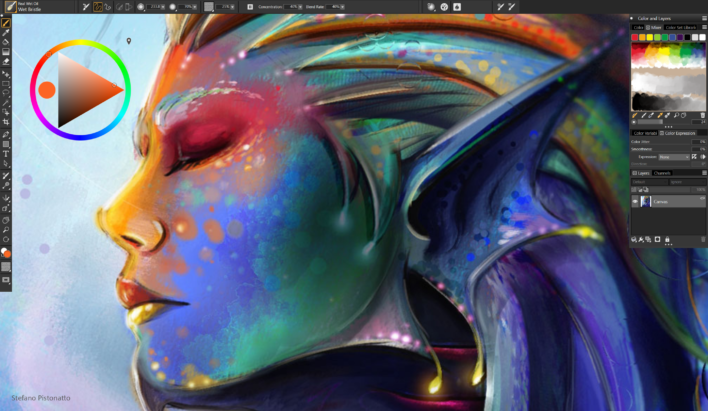 Enhanced speed and performance: With Corel Painter you can work smarter, faster and more accurately than ever before with native 64-bit Mac support and CPU performance optimisations. Increase control with the brush tracking utility and experiment with effects on your canvas in real-time. Create on the go: Corel Painter lets you create art on the go with incredible mobile capabilities. You can use your Windows Real-Time Stylus and Tablet PC or work with the Corel Painter Mobile for Android app. Then you can import your masterpiece directly into Corel Painter to add the finishing touches to your work. Whatever you want your logo and artwork to look like, achieve it with style with Corel Painter. Hopefully you now have the knowledge and tools to get out there and create the perfect logo and watermark for your YouTube channel. 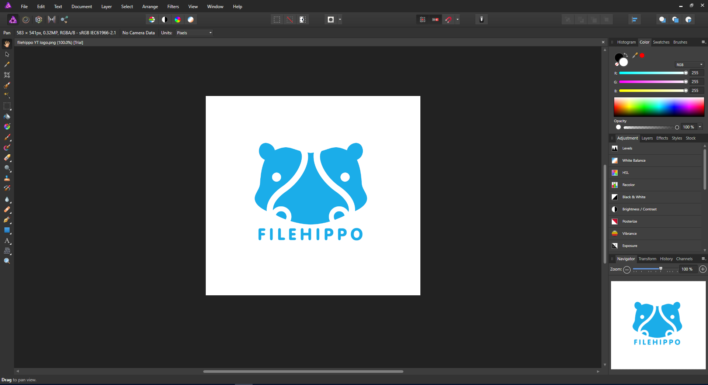 Don’t forget to head over to FileHippo and check out our fantastic range of free-to-download software, and for all the latest tech and IT news and views to boot.